She's Fantastic: Assassin's Creed - EVIE FRYE! Assassin's Creed - EVIE FRYE! I don't know much about Assassin's Creed but I really admire the aesthetic. There's something about the historical 19th century London garb mixed with an adventure plot that I find really appealing. 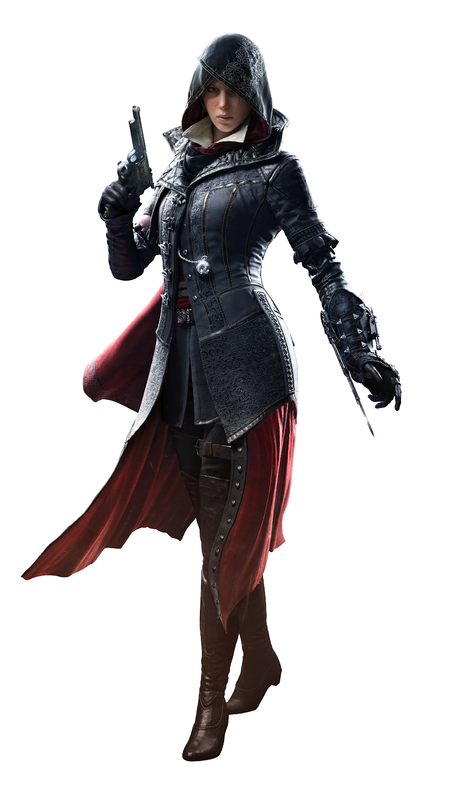 Evie Frye is a character from the ninth game in the series, Assassin's Creed Syndicate. She and her twin brother Jacob Frye are the main characters of the game who you help to navigate Victorian London and defeat the Templar (which historically hadn't been around for 500 years or so, but I digress). My main reason for buying this figure was that I hadn't seen a new female figure from Jazwares for a long time. Five or six years ago one of my favorite lines was the Sonic the Hedgehog line from Jazwares. I was always really excited to see what the company would be showing every year at Toy Fair, but there really hasn't been much since then (if you overlook all the Minecraft Toys). But I miss the old days when Jazwares was still on my radar, so I was very excited to pick up Evie. Let's check her out below! 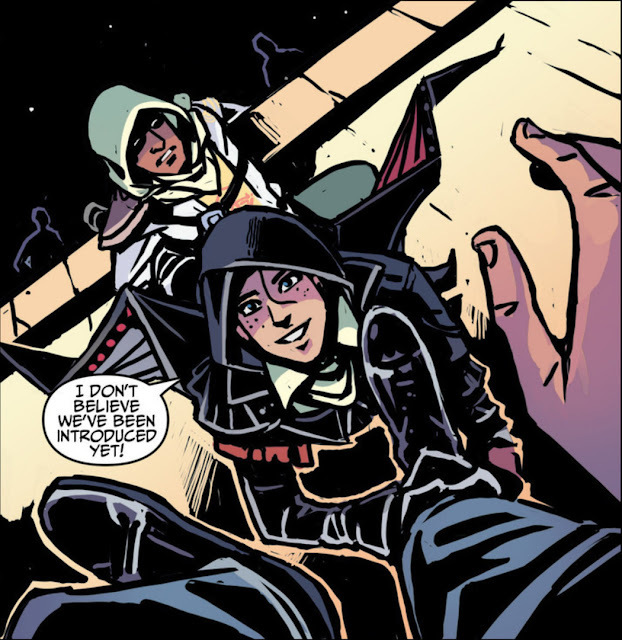 Evie's Hood is removable and she also comes with a blade, two ungloved hands, a walking stick, and that same stick with a dagger exposed. The only regrettable thing about my figure is that her painted pupils are askew. I couldn't really tell in the packaging because her hood was shadowing them a little. It should be an easy fix to make though. Evie's overcoat is removable - However I don't think it is intentionally removable. If you see that gray spot on her Right shoulder below, that is the single point at which her entire coat was attached. I sliced it free with an Xacto. I'm not sure if mine had an errant glob of adhesive or if they will all be attached like this. Here is Evie with the only other Assassin's Creed figure I own, Aveline de Grandpré.